John has flown over 80 types, and has dedicated his life to research and test flying; he was the first Western pilot invited to fly the aerodynamically game-changing Mig-29. 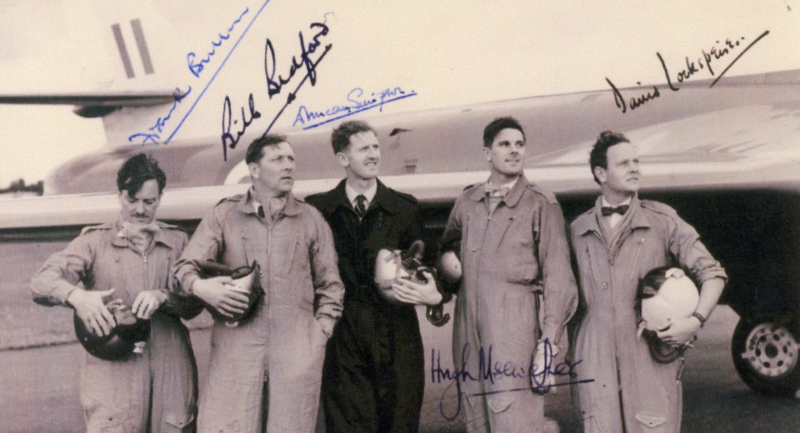 Duncan was at the forefront of UK military aviation for many years. 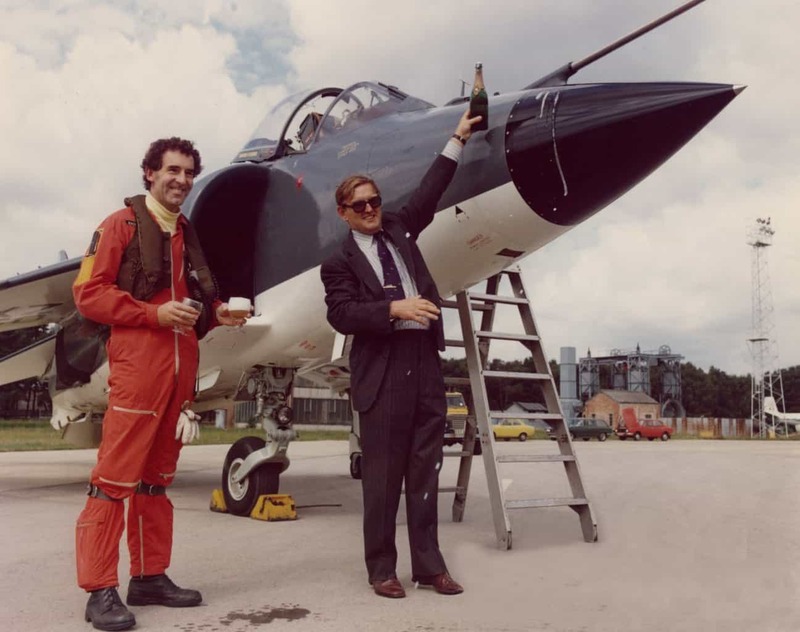 He played a key role in the development of the Hunter fighter, the Harrier and Sea Harrier, and led development of the Hawk advanced trainer also flown by the Red Arrows. 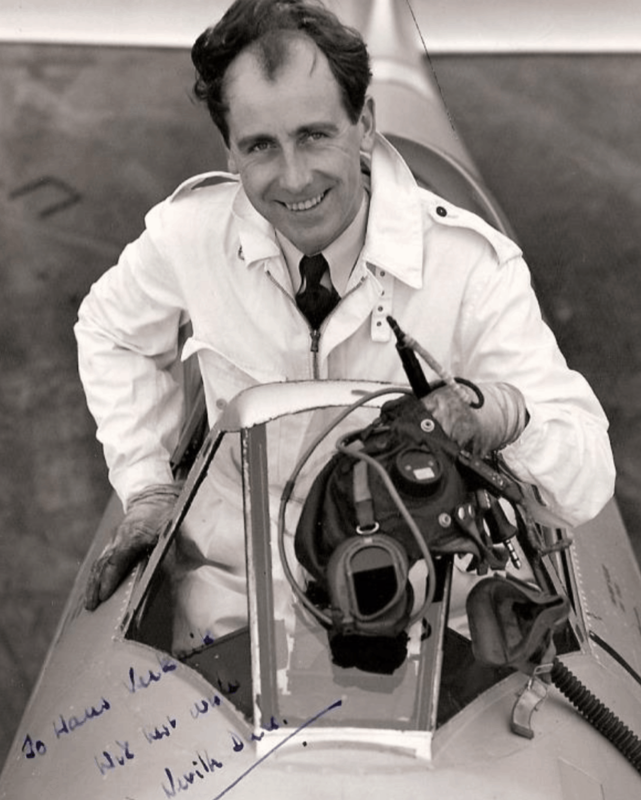 His link with Dunsfold is inextricable – Simpson joined Hawker in 1954 and became Hawker’s Chief Test Pilot in 1970, notable that he flew the P.1127 as well as making the first flight in a Hawk. He was Master of the Guild of Air Pilots and Air Navigators in 2002, and in 2011 received the Guild’s Award of Honour in recognition of his outstanding lifetime contribution to aviation. He was also a Fellow of the Society of Experimental Test Pilots. Latterly he served with distinction as the Tangmere Military Aviation Museum’s Honorary President from 2007 until 2013. His son John contacted the Heritage Society to inform us of his father’s passing: “He died peacefully at his home on Thursday 7th December 2017 having endured severe ill health since early 2015. We are aware of the highly valued relationship he had with all those at Dunsfold. We would very much appreciate it if you could please pass on this message to others who remember him. Any former colleagues or close friends we would very much like to hear from. Messages can be sent to dmssimpson@btconnect.com . A Memorial Service is being held at St Clement Danes WC2R 1DH on Tuesday 24th April at 11am and after at the RAF Club W1J 7PY. Any donations please to the RAF Benevolent Fund. A short profile of Duncan is here. Frank Bullen joined the Hawker Aircraft Co. in July 1949 and was engaged in testing all the companies aircraft, Sea Fury, Seahawk and Hunter. He was appointed Hawker’s Chief Production Test pilot in 1955. He retired from test-flying on September 30 1960. 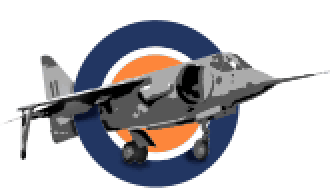 With Sea Harrier jump-jets landing on the carrier Hermes in Portsmouth, Frederiksen, who had been testing aircraft at Boscombe Down, inveigled his way aboard as an additional pilot in 800 Naval Air Squadron, under the command of Lt Cdr Andy Auld. A month later he was in the thick of war. 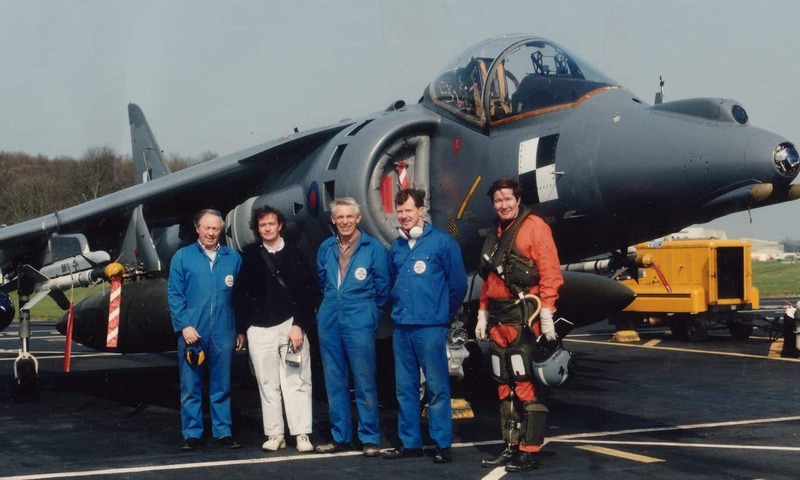 On May 1 Hermes entered the Total Exclusion Zone which Britain had declared around the Falklands, and Frederiksen led a bombing strike by three Harriers on the airfield at Goose Green. 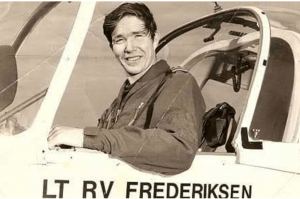 After taking his aircraft at wave-top height down the Falklands Sound, Frederiksen flew low over a range of hills and, completely surprising the air defences, destroyed one enemy aircraft as it was taxiing and damaged two others. Simpson joined Hawker in 1954 and became Hawker’s Chief Test Pilot in 1970. He flew the P.1127 as well as making the first flight in a Hawk. In 2011, the Guild of Air Pilots and Air Navigators awarded him the Guild Award of Honour in recognition of his outstanding lifetime contribution to aviation: “for his long record as a particularly accomplished pilot, his outstanding contribution to experimental test flying, his intimate involvement in bringing three iconic British Fighters – the Hunter, Harrier and Hawk – into service and his exemplary commitment to British aviation generally”. 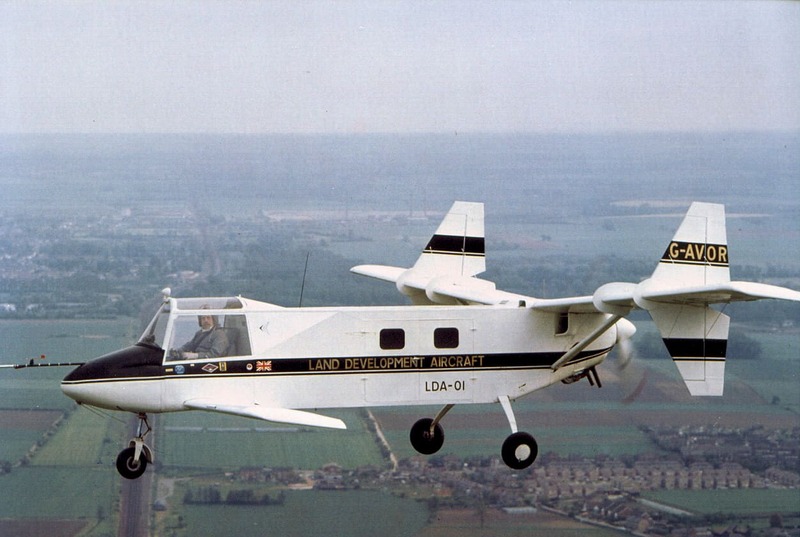 A comprehensive account of Duncan’s flying time is here. 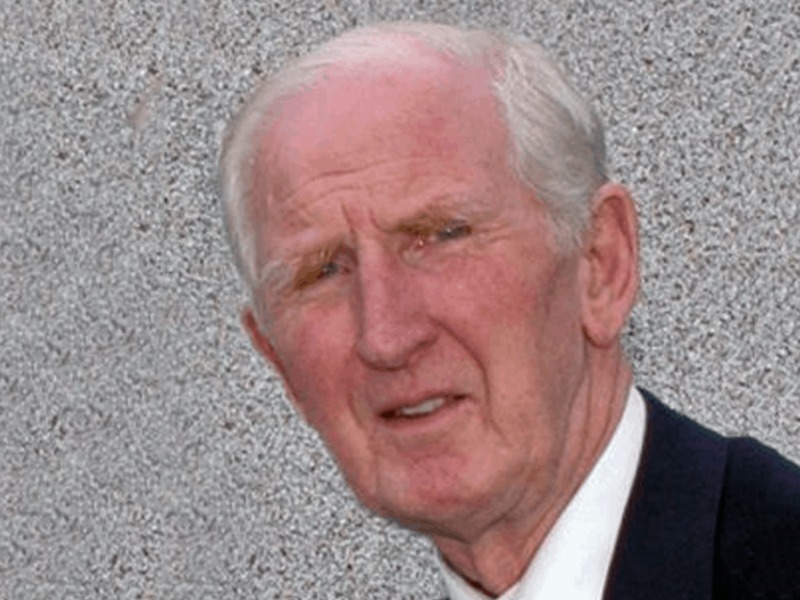 Taylor Scott joined the Royal Navy in 1964. After training he flew Sea Vixens before a tour with the US Navy,including the Fighter Weapons School (Top Gun) at NAS Mirimar.